Aside from organic greens and biodynamic rice, another kitchen staple for preparing hassle-free, quick and healthy meals on a daily basis is chicken breast. Skinless, boneless chicken breast fillet has always been my favorite meat to work with because of its clean flavor and versatility. I always make sure to have a couple of packs in the freezer because of the seemingly endless options you can create with it. My favorite chicken brand is Bounty Fresh because theirs always seems to be the freshest available. Their products are always impeccably packed which makes me worry less about cross-contamination and bacteria. Even the frozen stuff always seems newly delivered and in limited quantities because groceries often run out in the late afternoon. Known widely as a diet food, some people tend to shun the breast part because they think that it is dry and tasteless. In fact, breast wasn't a part of Dennis's vocabulary until I entered his life. Now he buys it in bulk even when I'm not around. The secret to juicy and flavorful chicken breast is in the prep work and cooking. marinate for at least 15 minutes, 30 if you can (i like to poke holes in it with a fork during marination), also massage your spice mix into that breast! Apply light pressure, if it's still soft, that means the inside isn't cooked yet, you need to wait until it gets "springy". Another indication of a perfectly cooked breast is when the juice begins to run out. Watch out for that. Once that happens, just leave it longer for a few seconds, not more than a minute and you're good. After cooking, allow the meat to rest for a minute or two before slicing so the juices stay intact. Once you master the art of cooking chicken breast, I'm sure you will be just as hooked as I am. 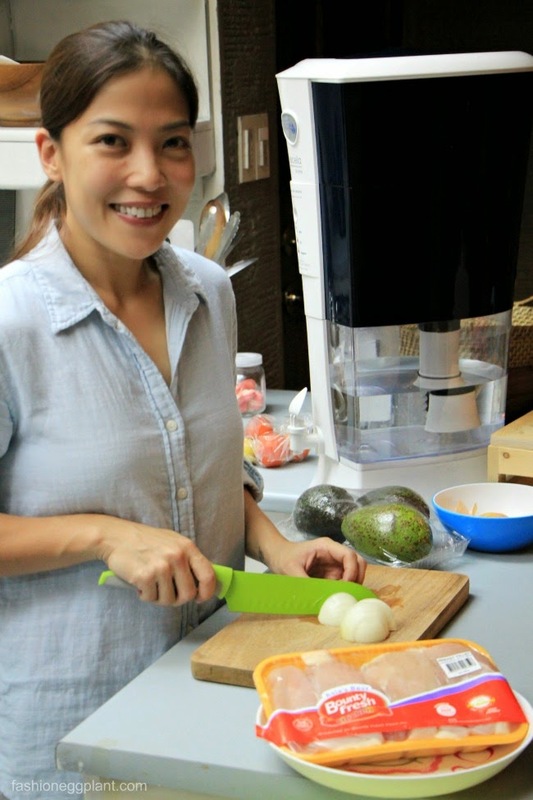 Here's the third installment of my "Quick and Healthy" recipe series. 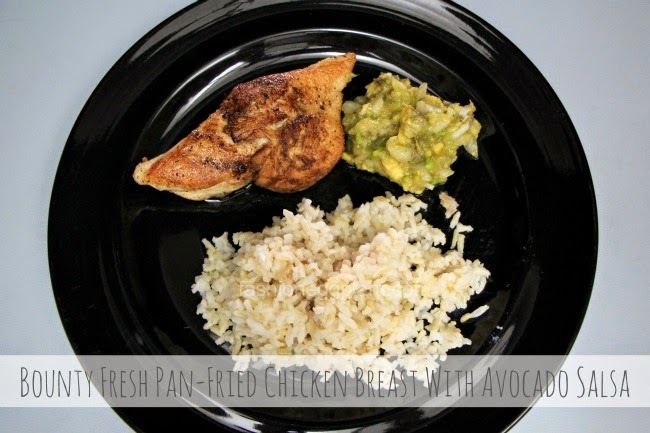 Today were making Pan-Fried Chicken Breast with Brown Rice and Avocado Salsa. Fat is essential in everyone's diet, we just have to make sure that what we take in is the "good kind of fat", Avocados are a great source of healthy fat or monounsaturated fat which works wonders for lowering levels of bad cholesterol and reducing risk of stroke and heart disease. It's also packed with protein, vitamins, and dietary fiber. Most interesting of all is that people who eat avocados tend to have a lower body weight, BMI and waist circumference! Marinate your breast fillets. Poke holes into it with a fork, rub an ample amount of salt, pepper, paprika, cayenne pepper (optional), and calamansi juice onto it. Set aside. Prepare salsa: chop onions, avocados, fold together in a mixing bowl and season with salt, pepper and calamansi (or lemon) then chuck into the refrigerator. Pan fry marinated breasts, assemble onto a plate, and you're done! You'll be left with a gorgeous, delicious, healthy and impressive meal that only took minutes to prepare! Plus points: set aside and shred/chop left over chicken breast to top a green salad.